Expansions, part I: Bread Alone, the family-owned Catskill bakery, opened its newest cafe yesterday, at the site of its Lake Katrine manufacturing plant in Ulster County. And North talks to the Leader family for an in-depth interview. Expansions, part II: The bar lounge is now open at Maplehurst Family Restaurant and Pizzeria, which debuted in Roxbury this summer. Owners Richard and Tanya Neff had been waiting on a liquor license, and plan to celebrate an official grand opening from Oct. 6 to Oct. 11 with a special offer of a free slice of pizza with a drink purchase. Beer: still booming. In brewing news this week, Greene County’s Crossroads Brewing Co. was among five winning New York State breweries at a national competition, bringing home a silver medal from the Great American Beer competition. As the Athens brewery prepares to celebrate its five-year anniversary this weekend, news broke that head brewer Hutch Kugeman has been tapped to take over the new training brewery installed at the Culinary Institute of America in Hyde Park, which will soon be churning out new brewers. New York State is now home to 220 breweries (and counting), and the U.S. is approaching its all-time record number of breweries, set at 4,131 in 1873. 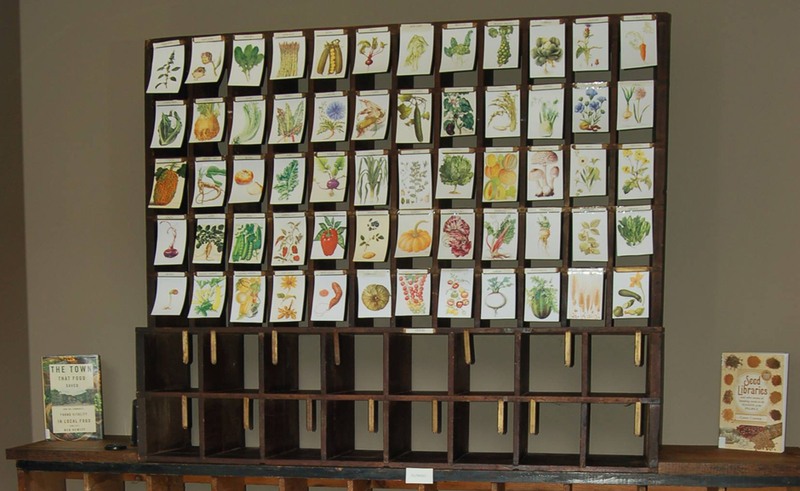 The Western Sullivan Public Library, in a joint effort with the Tusten Heritage Community Garden, has launched a seed library at its Narrowsburg branch, offering heirloom, non-GMO seeds. Get seeds, help pollinators, grow food: all for free. Now serving weekend breakfast (again): Brew, the Rock Hill coffee shop and craft beer bar, has relaunched its menu for the first meal of the day and now serves breakfast beginning at 8 a.m. on Saturday and Sunday. In case you were wondering what it’s like to attend an all-farmed-and-foraged dinner party at the home of Inez Falk, the proprietor of Bloomville’s Table on Ten and a recent fashion model for Real Simple magazine, Modern Farmer has the inside scoop.